Barcelona’s La Liga match against Las Palmas will be played behind closed doors on Sunday (1415GMT) after the Spanish league refused to postpone the match. At least 91 people have been injured in clashes between police and activists in Catalonia on Sunday over an independence referendum for the region deemed illegal by the Spanish government. “FC Barcelona condemns the events which have taken place in many parts of Catalonia today in order to prevent its citizens exercising their democratic right to free expression,” Barcelona said in a statement. Had Barca unilaterally decided to not fulfil the fixture they faced a likely sanction of Las Palmas being awarded victory and a fine from the football authorities. A section of Barcelona fans’ groups had threatened a peaceful pitch invasion to show their disgust at events at the polling stations if the game was not suspended. Huge queues of fans waited outside the 99,000 capacity Camp Nou for hours until a final decision was made less than 30 minutes before kick-off. Barca have long supported Catalonia’s right for a vote on independence, without throwing their weight behind the yes or no camp. Last week the club released a strongly-worded statement condemning arrests of regional Catalan government figures in “the defence of the nation, to democracy, to freedom of speech, and to self-determination”. Earlier, Las Palmas announced they will wear a Spanish flag on their shirts as a show of support for a united Spain. 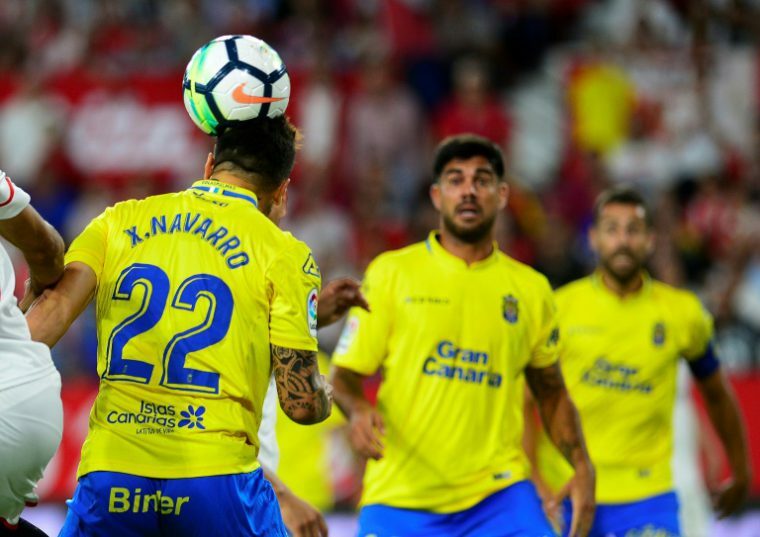 “We have decided to embroider on our shirt a small Spanish flag and today’s date, October 1, to quietly demonstrate our hope in the future of this country, and in the good will of those who live in it, in search of the best understanding,” Las Palmas said in a statement. And Las Palmas criticised Barca’s stance for heightening the tension around the match. “The Catalan government have decided to celebrate a referendum against Spanish law, with all the international exposure that events in the Camp Nou will have,” continued Las Palmas’ statement. Outspoken Barca defender Gerard Pique posted a picture of him casting his vote early on Sunday. “I have voted. Together we are unstoppable defending democracy,” said Pique. Legendary Barca midfielder Xavi Hernandez, who currently plays for Qatari side Al Sadd, also posted a video on social media describing the events as “shameful”. “It is unacceptable that in a democratic country people cannot vote,” added Xavi. And former Barca captain Carles Puyol added his support for the referendum by posting “To vote is democracy!” on his Twitter account.